About Us- Welcome to Tianlai massage center, let us introduce ourself and be our guest! Tianlai was founded in January 2013 by Chinese therapist May Zhang. She has a high education, and many years of experience with massage therapy and alternative treatments. The company currently has eight employees. Five of them are carefully selected therapists and massage therapists with specialized knowledge in alternative Chinese treatment. The company's vision is "Your well-being - our responsibility". This is a deep commitment from Tianlai's therapy and wellness team to do their best to safeguard, strengthen and improve our customer's health. Tianlai therefore offers a wide range of treatment and well-being lessons ranging from classical Chinese Tui na massage - a favorite among many of our customers - to a variety of other forms of massage, acupuncture, cupping, facial and fat removal. Tianlai's specialty is Chinese massage, which is based on traditional Chinese medical theory of meridians and acupressure. Throughout centuries of experience, this form of treatment has proven to be very effective, especially in relating to reduce muscle tension, restore physical strength, improve immune function, relieve fatigue, increase blood circulation, prevent atherosclerosis and "dissolve" meridians. The treatments work effectively against many types of pain in both the neck, shoulders and back. All of Tianlai's therapists are members of the Norwegian Nature Therapist's Main Organization (NNH - www.nnh.no). This is a quality stamp that ensures customers their rights. Therapists are subject to NNH's ethical rules regarding customer care. May has several years of experience in alternative therapies and the therapeutic treatment. She specializes in Tui Na techniques, Japanese Shiatsu, reflexology foot massage, and massage for pregnant women. She has been working in DragonFly Therapeutic Retreat in Shanghai as a supervisor, teacher and professional therapist. Afterwards, in Norway she has been working in DaiKai AS (previous name was Dragonfly Therapeutic Retreat Norway) for seven years. Graduated Zhejiang Traditional Chinese Medicine University. She has been studying traditional Chinese acupuncture and massage. During the studies she took practice in Hangzhou hospital. She specialized in extremities massage (pain of cervical spine, shoulders, lumbar disc herniation, muscle tension) and treatment combine with Chinese cuppying. Lina's therapy improve health condition and physical fitness or also adjust the yin yang. Jamies graduated from medical college in China. He has many years of experience in alternative therapies and the therapeutic treatment. He specializes in Tui-Na techniques, Japanese Shiatsu, reflexology foot massage and aromatic oilmassage. Previously Zhang worked at Drogonfly Therapeutic Retreat in Shanghai and Dubai as a therapist. Ellen was educated in the University of Traditional Chinese Medicine and has more than 20 years experience. She worked at Dragonfly Therapeutic Retreat Shanghai China as a teacher and therapist. 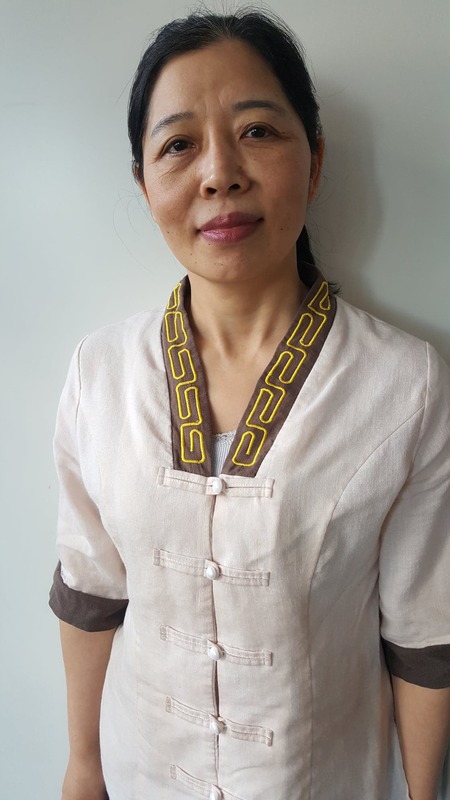 She is specializes in Chinese massage, shiatsu, acupuncture, headaches and similar, insomnia, Cervical spondylosis, frozen shoulder and other treatments. Rana has several years of experience in alternative therapies and the therapeutic treatment. She specializes in Tui Na techniques, Japanese Shiatsu, reflexology foot massage and aromatic oilmassage. Krogstad worked at Daikai AS (previous name was Dragonfly) in Oslo, before joining our team. Jason graduated from a five year study at Shenyang Traditional Chinese Medicine School, from Sep. 2004 to July 2009, majoring in Combination of Traditional Chinese and Western Medicine. He has completed all the courses in Psychology, Chinese Medicine Tuina, Acupuncture and Moxibustion, and the combination of Chinese and Western medicine. He worked in Singapore as TCM Medical Therapist , Jing has years of experience in pain management and teatment of acute sprain, pain in neck, shoulders and waist, frozen shoulder, pains in knee and legs, and disorder of small joints. Jong Zhu graduated at the Traditional Chinese School of Medicine in Qufu, in June 2007. He immersed in the studies of traditional Chinese medicine, which included acupuncture, moxibution and rehabilitation thrreatment. Since August 2007 to recently, has he been working at the Chinese Medicine Hospital in NingYang. There he specialized in pain management and treatment of acute sprain, and focused mainly on rehabilitation therapy, various muscle tensile, Chinese medicine massage, headache, cervical spondylopathy, scapulohumeral periarthritis and lumbar disc herniation. Anastasiia (Asia) Zadoinaia studied at Krasnodar Regional Basic Medical College in the Health Department of Krasnodar, completed the four-year study and became a qualified nurse with specialization in nursing care. 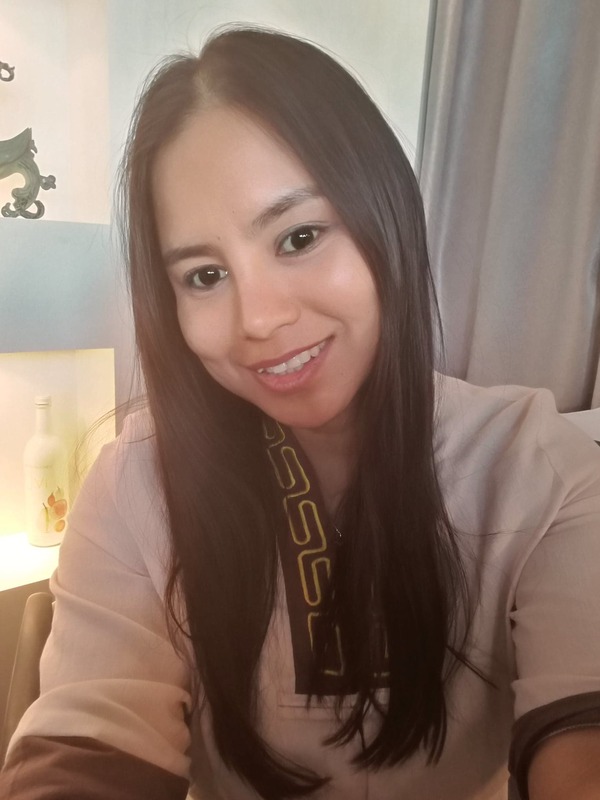 She's also received specialized training in rehabilitation therapy, reflexology, hot stone, pregnancy and baby massage, aromatherapy, facial treatment, Guasha therapy, herbal compress and many more within Thai Traditional Medical services, such as traditional Thai massage, Tok-Sen, slimming, Ong's, abdominal and stretch level I and II. She specializes in muscular massage, relaxation, hot stone and training, sport and athletic specific massage. Aleksandrs Bujevics is a therapeut that specializes in soft tissue remedial therapy and sport massage. He studied in England and graduated from L.S.S.M (London school of sports massage). In addition, he graduated from RNC College (Real national college for the blind) and completed a course in Thailand specializing within thai massage. During his time in England he was self-employed, and worked as a sport massage therapist for IBSA European Championship (blind football).